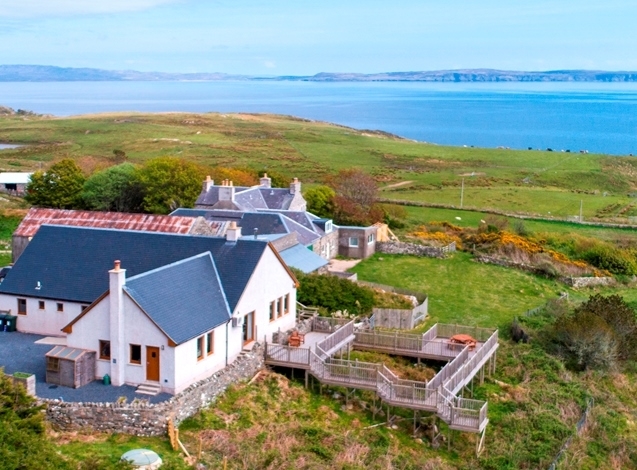 Ellister Lodge is a modern, elevated house sleeping 8, with superb views over Loch Indaal to the Oa and Northern Ireland. With consistent 5* ratings on AirBnB and TripAdvisor, Ellister Lodge sits within the Easter Ellister estate on the Rinns of Islay. 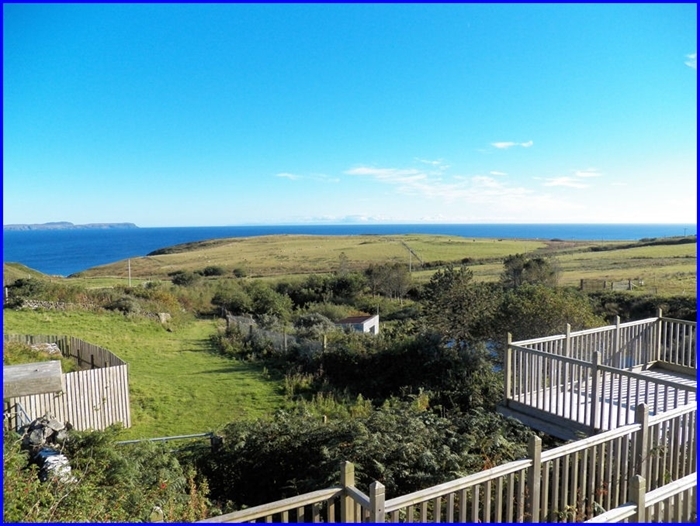 Ellister Lodge is situated near the pretty seaside villages of Port Charlotte and Portnahaven. Do read the reviews on our website, or TripAdvisor and AirBnB - including such as "The house was the best furnished and best equipped of any home-stay we have ever experienced." This from a visiting American. Ellister Lodge has 3 double/twin rooms, each with its own shower room/bathroom, plus a study/bedroom that can sleep two, with its own cloakroom. It has generous space inside, including a large family kitchen/dining room with both electric and solid-fuel Esse cookers and a large sitting room with a new wood burning stove. The 1/3rd acre plot has extensive decking and (enclosed, safe) viewing and relaxing platforms. Fully insulated with full double glazing. Fully accessible with access ramps, three sets of French windows and modern-width internal doorways. Ellister Lodge is an ideal base from which to explore Islay, to relax and to see Islay's wide range of wildlife. We have two adult bikes to help you explore and plenty of parking.